I have Apache2 installed as my web-server. It appears to work. So what is this mod_rewrite thing and why do I need it? The point of the web server is to serve up web pages; mostly these days, the content of those web pages comes from various content management systems such as Drupal, Joomla, Wordpress and the like. 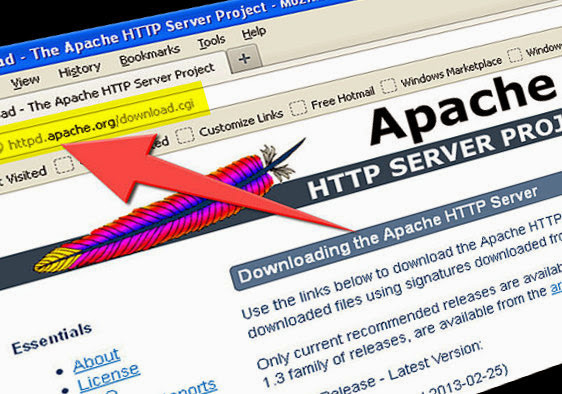 The Apache2 web server is designed with pluggable modules in mind to extend the base functions. One such module is mod_rewrite which provides for rewriting website URLs at the server side. In this way you can forget about clunky and un-typeable page addresses such as http://myserver.com/post.php?category=100&post=200 in favour of the much easier http://myserver.com/my_category/my_post.html; the translation of which can be handled by the server. mod_rewrite improves the usability and search engine friendliness of web sites by exposing more memorable and crawlable URL's.Without it, Wordpress and Joomla become unwieldy beasts to say the least. As a side effect, it can aid site security by hiding sensitive information such as query strings from URL requests. The good news is if you installed the Apache2 web server via apt-get or aptitude on Debian or Ubuntu systems, the mod_rewrite module is automatically installed. But not enabled, which it the bad news. After the Apache2 installation, you need to enable mod_rewrite. Replace every occurrence of "AllowOverride None" with "AllowOverride all".